Comments for Addicted to pain killers and need help? 12 step program is you best bet to start moving past your addiction. We admitted that we were powerless over pain pills--that our lives had become unmanageable. From the little you've told me, this is exactly where you're at. You now realize that you're addicted to pain pills and that you need help now to end your dependence on the pills. Please find AA or NA meetings in your area and begin attending them TODAY and DAILY until you can figure out how to stop using. When you attend the meetings work the 12-steps and find a male sponsor who has recovered pill addiction and can help you to recover from your addiction. Pain pill prescription addiction is a disease that attacks our brains and gets control of everything we do, think and feel. When we are addicted we often don't have a job and ALL of our money is taken getting more pills. Once opiates are in control, it's VERY difficult if not impossible for us to stop using on our own. 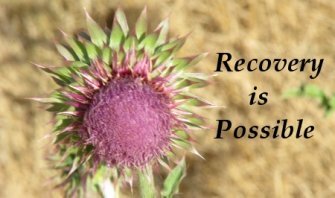 Daily meetings with people who have successfully beaten their addiction is VERY helpful as we figure out what we need to do to regain control. Go to a meeting today and just listen and begin the process of understanding what addiction is and also learn what you need to do to end it. Pain pill addiction is a disease of the brain that is often fatal if left untreated, so please go to meetings and begin treatment today. The meetings are free and you can begin attending even if you're still using. My name is Felicia. I read your post. First, let me congratulate you on taking the first step towards your recovery. Simple put, yes, the twelve step program that is apart of, Alcoholics Anonymous/Narcotics Anonymous is a very good first step to your recovery. I would also like to add that, there may be an underlying cause for your addiction to pain killers, meaning, are there any problems in your life that warrants the prolonged use of the drugs. Christopher, do you find yourself making excuses and justifying the reasons why you need to keep abusing this substance, if so, you may need to seek some professional help from a chemical dependency treatment team. Inpatient or outpatient programs are available to help you with your addiction to drugs. Addiction Counselors and their treatment teams will open up the doors and allow you begin the exploration to finding the reason that lead you to abusing the pain killers. If this is the case, please seek some professional advice. Christopher, you also mentioned that you do not have a job and you have no medical insurance. Go to your county assistance office, and explain to them what your problem is. Tell them that you do not have a job, and you do not have any medical insurance. Christopher, don't be afraid to tell them that you are seeking help for your addiction to pain killers. The caseworker will be able to guide you in the right direction. I hope that this information will help you in your recovery, GOD bless you Christopher in your search to finding a healthy life.